The cheesemakers at Calkins Creamery start with a stirred curd cheddar and hand mix garlic, ginger, onion and paprika into it. The wheels are aged for a minimum of 2 months, and are creamy, spicy and savory. This cheese is what would happen if a spicy sour cream and onion pringle and a raw milk artisan cheddar had an undead cheese baby. By the way, it is absolutely delicious! 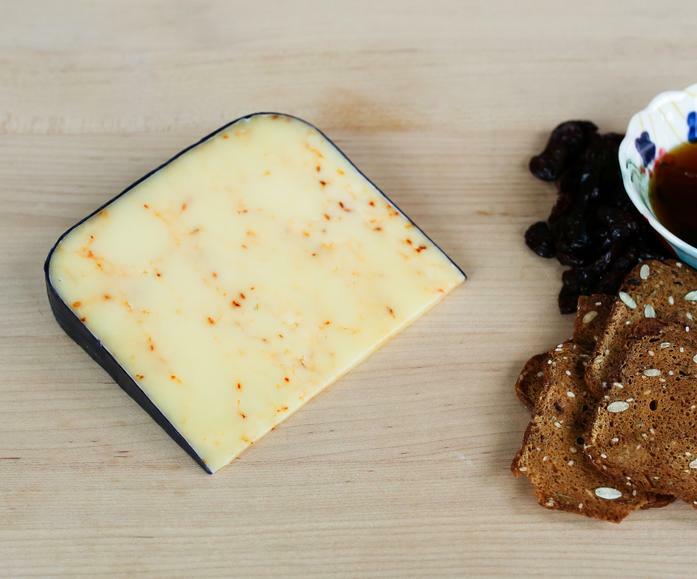 This cheese is made with raw cow's milk and a vegetable rennet.